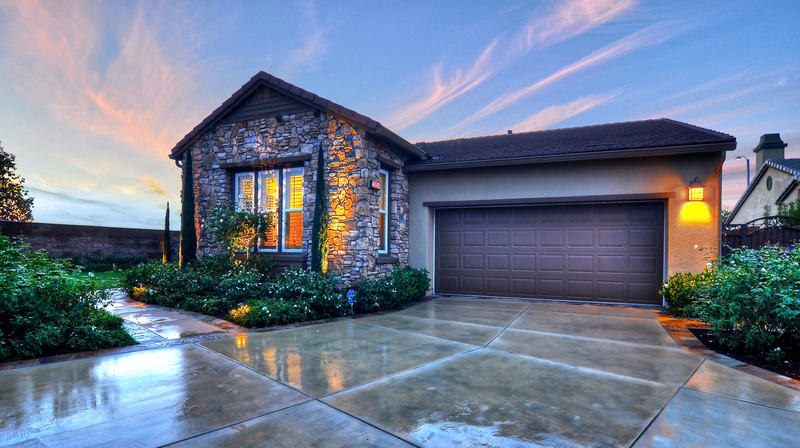 Please visit www.TheBoutiqueRE.com for additional information on this single story home in Yorba Linda. Tucked Into The Hillside of Yorba Linda is Corte Bella at Amalfi Hills, a Community of Luxury Single Family Homes. Located on a Cul-De-Sac This Single Story Home Boasts 2,405 sq ft of Living Space on an Expanded Approx. 11,000 sq ft Corner Lot Giving You Majestic Sunsets, City Light Views and Ultimate Privacy. Features Include A Gourmet Chef’s Kitchen, Stainless Steel Professional Grade Appliances, Granite Slab Counters, Magnificent Center Island, Plantation Shutters Throughout & An Open Concept Floor Plan. Three Bedrooms, 3 Bathrooms, 2 Car Attached Garage with Custom Built-Ins, Formal Dining Room, Formal Living Room & An Expansive Master Suite With French Doors Truly Highlight This Gorgeous Home. The Master Bath Features A Walk-In Closet, Dual Vanities, Solid Surface Counters, Separate Shower & Elevated Jacuzzi Spa Tub. Custom Landscaping Surrounds This Home with Flagstone Inserts, Colored Concrete, Perfectly Manicured Landscape, Lush Fruit Trees, Custom Putting Green and an Extra Long Driveway. Home to Yorba Linda High School and Minutes Away From Black Gold Golf Course, Yorba Linda Country Club, The Nixon Library, World Class Shopping, Fabulous Entertainment & Easy Freeway Access. Don’t miss this power-packed, one day conference on real estate marketing & technology featuring 12 top speakers from all over the US. Top sponsors include Realtor.com, Homes.com, Market Leader, Cartavi, Exit Realty, Alos Research, Broadview Mortgage and many others. 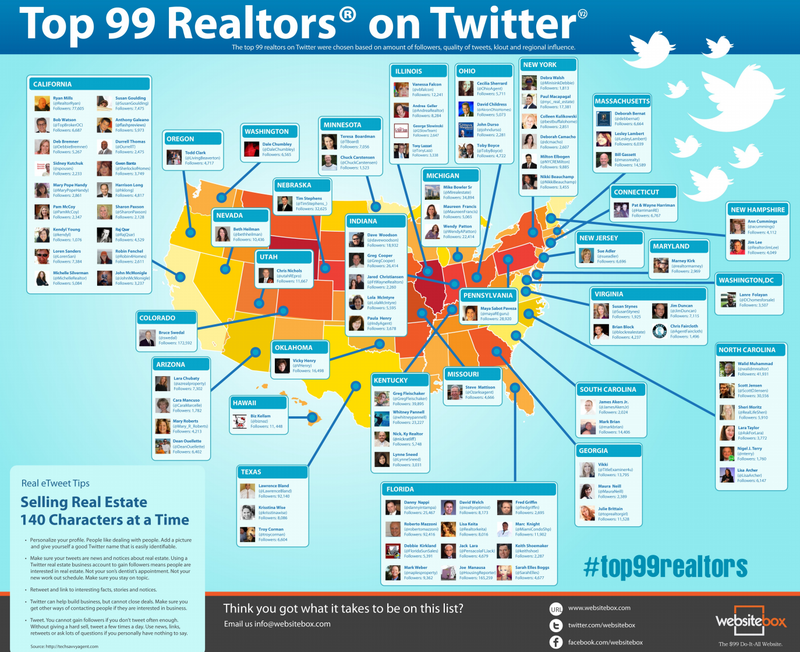 Top 99 Realtors on Twitter | Does Your Agent Tweet? Selling Real Estate 140 Characters at a time. A look at the national list of the top 99 Realtors who are utilizing Twitter to gain regional & national influence in this social world of ours. Information is based on the amount of followers, quality of tweets, clout and influence.